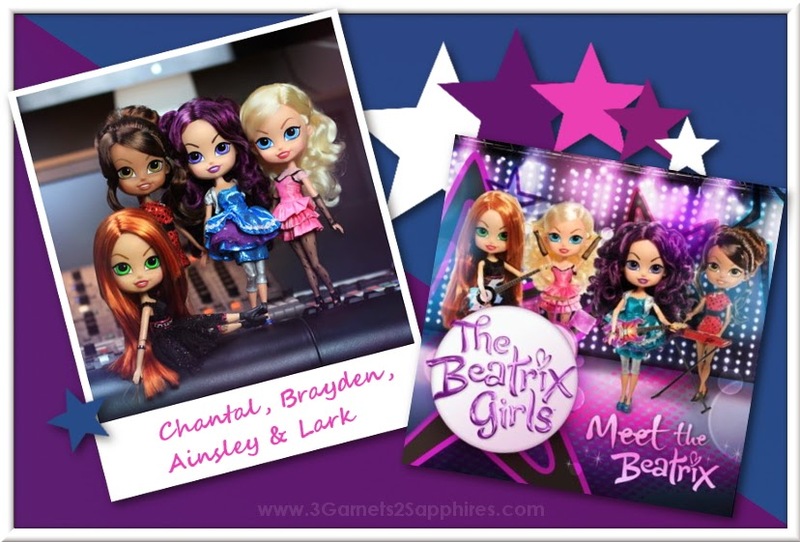 3 Garnets & 2 Sapphires: Introduce Your Little Girl to the Fun & Music of The Beatrix Girls Pop-Stars Dolls! Introduce Your Little Girl to the Fun & Music of The Beatrix Girls Pop-Stars Dolls! Thank you to The Beatrix Girls for providing a prize pack for our giveaway prize and for sending an additional prize pack to me as a thank you for sharing these fashion dolls and their new music CD with my readers. All opinions expressed are my own. Brayden, the purple-haired lead guitarist and songwriter of the pop-star girl band The Beatrix Girls has already been welcomed into our home. Our 7 year old daughter saw her in the tween clothing store Justice and knew that this doll was what she wanted to spend her birthday money on. Now she looks forward to adding the other three 12" fashion dolls to her collection. Each of The Beatrix Girls (Lark, Ainsley, Brayden, and Chantal) has her own personality. They are all empowered, goal-oriented girls who know what they like and know who they are. A fun way to introduce your little girl to The Beatrix Girls is to watch the short Beatrix Girls webisodes available on their website, www.thebeatrixgirls.com, like the one below . . . In addition to Justice stores, you can find The Beatrix Girls dolls at Toys"R"Us, Walmart, Amazon.com, and other major toy retailers. 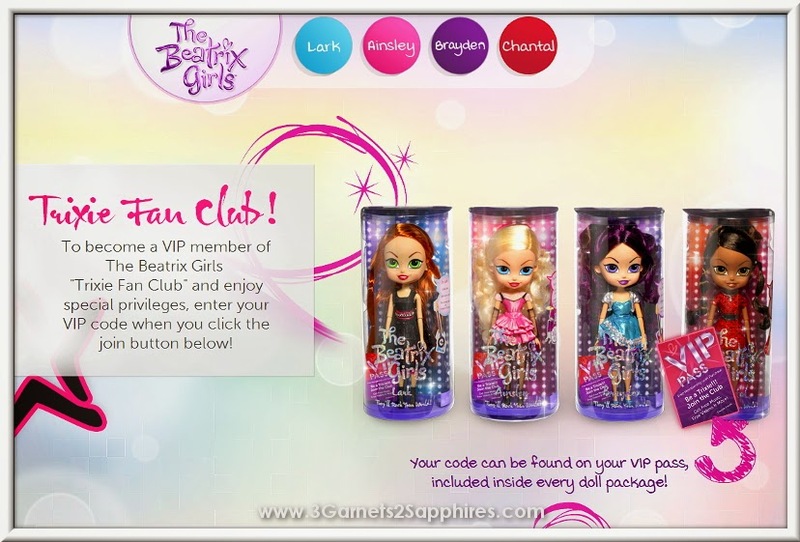 When you purchase a doll, be sure to look for the VIP pass on the packaging that has a code to join the Trixie Fan Club, which allows your little fan to download free MP3s from The Beatrix Girls and more. Other fun ways to learn more about The Beatrix Girls . . . Listen to clips of the original songs from The Beatrix Girls' new album Meet the Beatrix. Read the official Beatrix Girls Blog. Watch music videos and webisodes on The Beatrix Girls YouTube Channel. Checkout The Beatrix Girls on Instagram! Enter to win a Beatrix Girls prize pack . . .